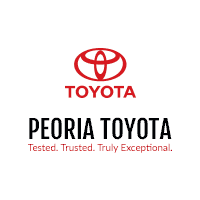 At Peoria Toyota, we make financing a Toyota fun, easy and stress-free. Our Toyota dealership near Washington, IL, offers a Toyota finance center that’s run by passionate and knowledgeable Toyota financing specialists who are ready to go to work for you. We operate in a friendly and low-pressure environment because we want to help you find the perfect Toyota lease or loan for your lifestyle and budget. Whether you want to walk through the benefits of buying vs. leasing a Toyota, or learn more about our Toyota financing specials, the Peoria Toyota finance team is here for you. That’s why we welcome drivers with all types of credit, because we’re confident that our network of banks and lenders can get you the Toyota loan you need. If you want to get the Toyota financing process started, get pre-approved online today. We look forward to meeting you and to helping you finance a new Toyota!